It all started in the summer of 2012 while preparing for a wine barrel auction in Napa, CA. 12 barrels were scheduled to be auctioned off but only nine actually made it to the site. Three barrels were lost in the warehouse and had mysteriously disappeared. Almost a year and a half later those lost barrels were found in a remote, dark corner. Fearing the worst, one was cracked open where it was discovered that after sitting in barrels for almost 18 months, the wine had darkened and thickened. Expecting that the wine was ruined, a glass was poured and the juice was tasted. To everyone’s surprise – the added fermentation and aging had actually brought out the fruity flavors of blackberry and plum and accentuated aromas of licorice and mocha. It also added a decadent, rich, “inky” finish. It was declared “delicious and feels like drinking Black Ink!” Hence, Black Ink was born. It rose out of chaos and mystery, just like the label and name reflects. The blend has changed since then, but the essence of the brand has not. 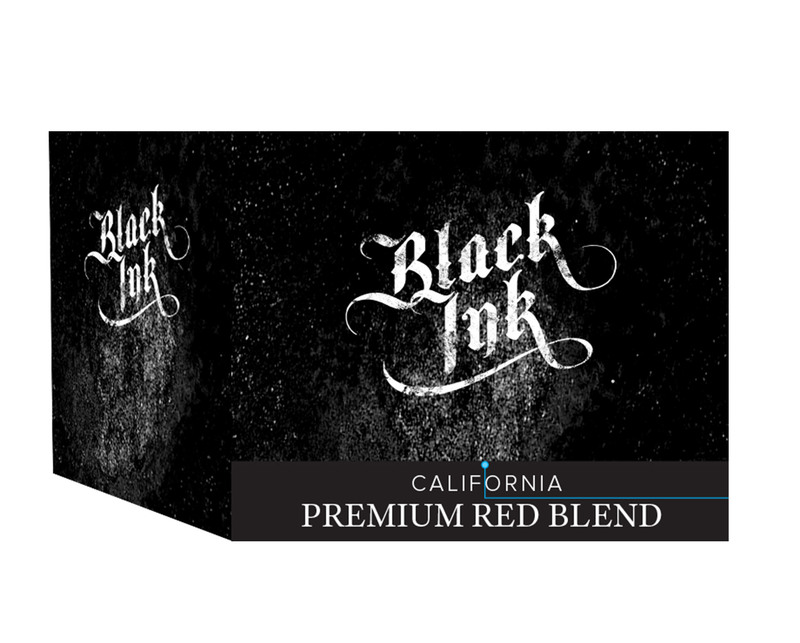 Black Ink is a red wine blend from California that follows its own rules. It breaks tradition and delivers a competitively priced wine that stands out on the shelf. It is an artistic and edgy expression that is meant to be shared…but is not afraid to stand alone. Black Ink is Rock N Roll, social, decadent, and intense. Black Ink is comfortable in a whiskey bar, but is actually not uncomfortable anywhere. 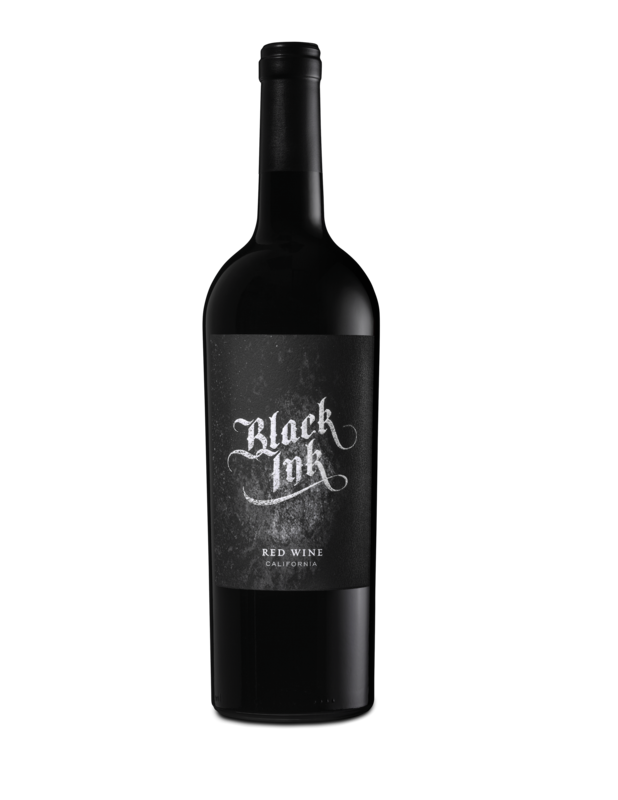 Black Ink, an artistic and edgy wine that’s as memorable as your first tattoo.